I warmly thank the organisers for inviting me again to this important event in Madrid, where I last spoke two years ago, also in the context of the Master in Banking and Financial Regulation of the University of Navarra. The future of banking is certainly a very topical subject, particularly after the global financial crisis. The 2007-08 episode clearly demonstrated that financial crises, particularly when they involve the banking sector, can be enormously expensive both in terms of direct fiscal costs and associated costs for the real economy. Over the period 2008-14 accumulated gross financial sector assistance by euro area governments amounted to 8% of euro area GDP, of which, so far, around 3% has been recovered. Moreover, the crisis induced the Great Recession and the costs of foregone output have been severe. At the aggregate level, the euro area output is now 20% below the level it would have achieved had the trend growth in the previous 15 years continued after 2007. Considering that the economy would grow from now on at that same trend, the accumulated loss of output until 2030, properly discounted, would represent more than three times the whole output of 2008. The crisis left a permanent economic loss with broad scars in our societies. In light of these consequences, regulators embarked on an ambitious international regulatory reform programme after the crisis, which has mostly concentrated on making the banking system safer and more resilient. In this respect, significant progress has been made: in the euro area, banks have materially bolstered their capital positions, with the average common equity Tier 1 ratio of significant institutions rising to 13% by end-2015 from around 9% in 2012 and 7% in 2008. To a large extent, challenges and transformations in the banking sector are of a global dimension, even if I will mostly illustrate it with European data. The crisis was however not the sole product of banks’ behaviour but also of the shadow banking sector that expanded rapidly in the run-up to the crisis, forming a new market-based credit system. There are unfortunately different concepts of shadow banking that add to confusion. One version relates to all credit intermediation done by non-banks; another, more relevant approach is not based on entities but encompasses all activities of the new market-based credit system. This comprises a vast array of financial services, in which banks are also involved, resulting from the expansion of securitisation; of securities financing transactions (SFTs), i.e. securities lending and repurchase agreements (repos); of collateral management and intermediation; and finally, of risk transformation via transactions using derivative swaps , from credit default swaps to interest rate or forex swaps. Several of these activities can be conducted by regulated banks or by less regulated institutions. These activities became of extreme importance for two reasons. First, they contributed to the creation of a market-based lending system backed by secured short-term market funding. This is the proper concept of shadow banking or what is also called the new market-based credit system. Second, these activities originated types of liquidity instruments which are forms of money not usually counted in the regular monetary aggregates. Several authors,  designate this type of activity as shadow banking. Those features, especially the expansion of credit assets funded with short term securities (e.g. repos or ABCP) led to a significant increase in the leverage of the entire finance activity and created chains of inside liquidity, including by means of re-use of “repo-ed” securities, phenomena which were at the centre of the financial crisis. The markets for these non-deposit short term financial liabilities became very large and were crucial for the excessive leverage and the illusion of abundant liquidity that led to the crisis. The origins of this new credit system are related to the emergence of very sizeable cash pools looking for safer places to keep that cash in the short-term than in the form of banks’ uninsured deposits. Secured collateral lending and repos as well as risk transformation via swap derivatives (credit, interest rates and forex) were developed for that purpose. Securities lending for shorting and generating collateralised levered transactions for asset managers were also part of the new system. The activities of re-hypothecation and re-use of securities in the repo market amplified the creation of chains of inside liquidity and high leverage with negative consequences when haircuts increased and the repo market turned illiquid as the crisis unfolded. A crucial rationale for bank regulation relates to the fact that when they concede credit, banks create money by creating a corresponding deposit. 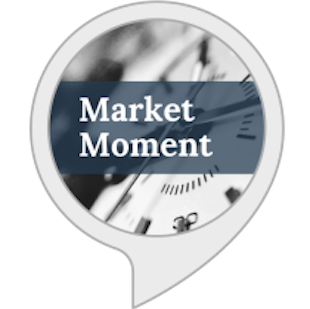 This activity that is at the centre or our credit-money system, involves a significant liquidity transformation as deposits are much more liquid than credits. In a recent book, Mervyn King called this property the “alchemy of banking” and many reforms have been proposed to overcome the fragilities created by banking as we know it. I will examine some of them later. While not taking in deposits, non-bank entities forming the new financial sector should also be subject to some new regulations. There is a need to address vulnerabilities created by the expansion of leveraged assets funded by short-term liabilities that play the same role as money. Chart 1 illustrates how banks have been decreasing their importance in the whole financial system in benefit of other institutions forming the new market-based credit system. In 2008, total assets of banks in the euro area stood at EUR 33 trillion and declined to EUR 28 trillion at the end of last year. Meanwhile, assets of Money Market Funds and all other types of Investment Funds have increased from EUR 5.6 trillion to 11.4 trillion in 2015, moving from 17% to 40% of total bank assets. The expanded role of capital markets and the market-based credit system with the resulting shrinkage of the banking sector are not per se negative developments. Diversification and competition contribute to enhance efficiency and to lower transaction costs in the financing of the economy. Banks too have welcomed the embryonic initiatives of the EU Commission to develop a capital markets union in the future. As mentioned previously, banks also participate in the new forms of financing and the bigger ones are crucially involved in all the activities linked to capital markets, from the issuance to the distribution of securities and trading. On the other hand, existing Investment Funds are often part of banking groups. However, despite adjustments in business models, more traditional banks face accrued challenges. Today, I will argue that banks are under siege but a successful adaptation to the challenges they face is key to revive their prospects and their effective contribution to credit intermediation. After all, one cannot ignore the importance of a stable, profitable and competitive banking sector for sustainable economic growth, even if it is bound to shrink. In this lecture, I will first dwell upon the main challenges that banking activity faces in the world at large. I will then discuss some proposals that aim at a deep reform of the financial system, in view of the future role of banking. Finally I will focus on the specific challenges confronting the euro area banking sector, from low profitability to excessive NPLs, overbanking and new regulations like TLAC and MREL. Beyond increased competition from non-banks, the banking sector faces competition from Financial Technology (FinTech) firms with other challenges relating to the low interest rate environment as well as the regulatory measures still to come. There is a lot of hype around the emergence of new specialised start-up financial firms that take advantage of digitalisation and big data techniques aimed at unbundling the activities of banks. This is not foreseeable despite the current excitement. This is because banks will also adopt the new technologies and will defend their franchise. Furthermore, after crossing some thresholds, the new forms of finance will eventually start to be regulated due to the same market failures and externalities (i.e. asymmetry of information, moral hazard, adverse selection and herd behaviour) that justify regulation in the banking sector. Having said that, payment services could indeed become a domain where banks may lose significant market share. Other activities at stake comprise: savings and investment management over the internet, with robo-advisors that provide algorithm-based portfolio management services online at a fraction of the costs associated with traditional portfolio managers and investment advisors; crowdfunding or direct equity funding of projects by investors gathered mostly over the internet; peer-to-peerlending (P2P) whereby online services match lenders and borrowers which can be individuals or small businesses; or online money management advice aggregating all bank and savings accounts of the clients. Hundreds, if not thousands of start-ups can be found in all of these domains. The whole sector is nevertheless still quite small. 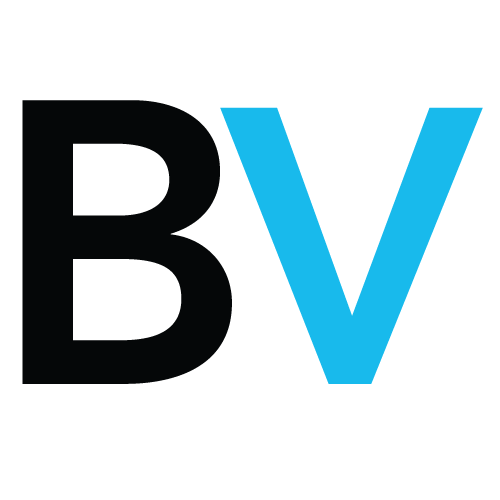 According to a recent study by McKinsey, USD 23 billion of venture capital and growth equity has been deployed to FinTechs in the five years to 2014, with around one-half of this total invested in 2014. A significant part of this investment was concentrated in the area of payment services, where banks are facing the biggest challenge from these new competitors. It is followed by P2P lending, which is the next most developed activity, funded by hedge funds, institutional investors and sometimes even banks. The first accidents with bad credits started to emerge recently as big data and smart algorithms can also fail. As the sector expands, many more episodes will likely occur. Furthermore, if it starts to cater for regular retail funding it will gradually become regulated as a banking activity. Nevertheless, intensified competition from FinTech companies represents a potential threat for banks. If they do not respond effectively to this challenge, this could lead to a loss of market share and significant reduction in bank revenue. In five major retail banking-businesses (consumer finance, mortgages, SME lending, retail payments and wealth management), according with McKinsey, 10 to 40% of revenues and between 20 and 60% of profits will be at risk by 2025, with consumer finance identified as the most vulnerable. In the end, new competitors will likely capture only a small portion of these businesses, with banks’ losses most likely coming from margin compression. The new technology of the distributed ledger or blockchain is of a different nature and represents an opportunity, mostly for banks that have financial capacity to invest in it, and can establish a wide network of secure, less expensive account transactions and settlements. Even that will not dispense with some central official role to ensure final settlement and validate the reputation and qualification of participant institutions in the network. Private money like Bitcoin, behind the blockchain technology, cannot go far due to lack of confidence. Like many commercial banks, central banks are also actively studying possible developments in this area and attentive to their potential role in the future. On the regulatory side, many of the measures deriving from the post-crisis agenda are already in place: capital requirements were increased, (fully-loaded Basel III requirements are already met by most banks), a leverage ratio was imposed, new liquidity rules were established. The Liquidity Coverage Ratio (LCR) which was implemented in the EU in October 2015 aims to ensure that banks have enough liquid assets to meet liquidity needs over the following 30 days. Moreover, the Net Stable Funding Ratio (NSFR) which will enter into force at a later stage but is already complied with by most euro area banks will require banks to replace short-term with longer term funding, which is generally more costly (because of term premia). The experience of the crisis has however demonstrated that some trade-off in profitability versus resilience is well justified. Importantly, a few remaining initiatives on the regulatory agenda for banks and the non-bank sector still need to be finalised and implemented. After the revision of capital requirements for the trading book and the final calibration of the Leverage Ratio, capital requirements will still be fine-tuned with a full revision of the Standardised Approach as well as some restrictions on the use of banks’ internal models in the Internal Ratings Based (IRB) approach. The Basel Committee on Banking Supervision (BCBS) and the Governors and Heads of Supervision (GHOS) have nevertheless communicated that the overall bank capital requirements will not be significantly increased. A Quantitative Impact Study (QIS) is being conducted for the banks to report the consequences of the drafted measures and a final decision will be taken in Autumn, only after these consequences are assessed. The commitment is that there will be no Basel IV and that Basel III will be concluded by year-end thus providing regulatory certainty for the future. Another ongoing discussion that has added to regulatory uncertainty concerns the treatment of sovereign exposures. This discussion is important and could indeed have a significant impact on the financial sector. Three principles form the ECB’s view on the matter: first, we agree with the rationale to change the present system, where sovereign exposures are treated as a risk-free asset; second, the revision should not create undue turbulence in markets, like the repo market or short-term money markets at large, where sovereign debt is widely used; third, the regulatory change should be at the level of the international standard, i.e., it should come out of the BCBS’ discussion. This latter principle is also in line with the Five Presidents’ Report and the BCBS is working on the issue. Also at the international level, an agreement was reached at the end of last year on the Total Loss Absorbing Capacity, or TLAC, for global systemically important banks (G-SIBs) with a view to overcoming the “too-big–to-fail” issue and making resolution simpler and more predictable. TLAC still needs to be implemented in Europe, where the Bank Recovery and Resolution Directive (BRRD) provides for a similar concept designated as Minimum Requirement of Eligible Liabilities (MREL) applicable to all banks. The ongoing MREL regulatory preparations, in parallel with TLAC implementation, will be key to ensure a consistent approach towards loss absorbing capacity. The way MREL will be calibrated by the Single Resolution Mechanism will also have an important impact on banks. The preliminary announcements to the industry and a possible interpretation of the Delegated Regulation recently published by the EU Commission, has led to estimates of MREL eligible liabilities by market analysts that would imply new subordinated debt issuance needs in the order of EUR 560 bn.Such high required levels of issuance also stem from the assumption that existing senior bank bonds that do not have a subordination clause would not be counted to fulfil MREL. Such a requirement for subordination exists in the TLAC standard but the BRRD omits the issue and the EU Commission or the Single Resolution Board have not yet clarified what will be applied in the case of MREL. The whole set of issues related to MREL have to be addressed with great care, as very high, new requirements of subordinated debt or capital would not easily be absorbed in present market conditions and would therefore lead to financial stability concerns. Ultimately, the level of MREL required for a bank should depend on how it is planned to be resolved. On this matter, let me note that the BRRD sets no direct or automatic link between determining the MREL level, and the 8% bail-in rule enables the use of the resolution fund for absorbing losses or to recapitalise a bank. They are separate requirements, which serve different purposes, and therefore also have different scopes. Beyond the structural trends and regulatory developments described earlier, the current low interest rate environment, at global level, also poses important challenges for the banking sector. To understand why interest rates are so low, it is useful to refer to the concept of an equilibrium (or neutral) real interest rate. 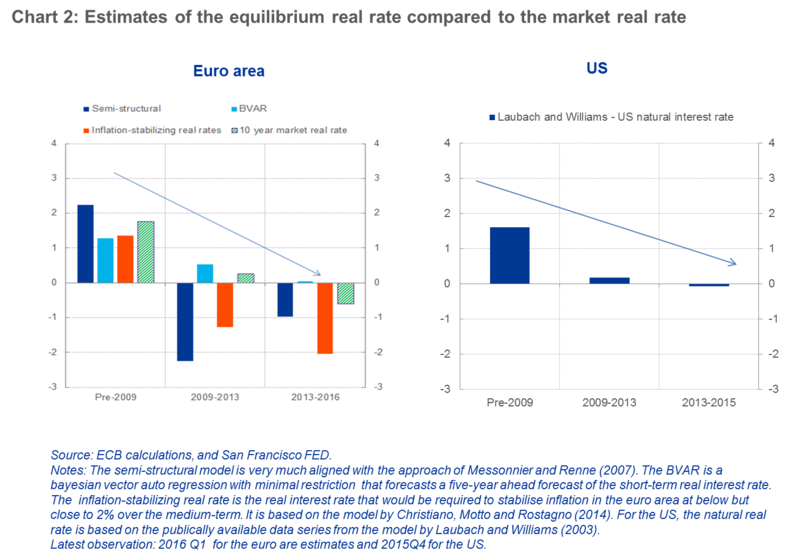 The importance of this concept is that it provides a sort of anchor to a monetary economy, implying that monetary policy needs to shadow the real equilibrium rate in order to meet its price stability mandate. When applying different model-based methods to estimate the real equilibrium rate for the euro area, it emerges that, in comparison to pre-crisis years, estimates of the equilibrium real rate have sharply declined during the crisis and have continued on a declining trend and are now in negative territory, as is the case for the U.S. (see Chart 2). If the real equilibrium rate is decreasing then failure of monetary policy to accompany the downward trend would leave the economy with too high borrowing costs with respect to the return on investment. In turn, this would discourage investment and consumption and generate recessionary and deflationary pressures. The regulatory reforms for the banking sector are contributing to a shift of activity and the emergence of new players in the non-banking space, which in turn is leading to tougher competition in areas traditionally dominated by banks. To ensure a level playing field and to contain the emergence of new risks beyond banking, we need to continue our efforts to establish a comprehensive regulatory framework for non-banks and market-based activities. In my view, while we have improved our understanding of the risks in this part of the financial system, there is still significant work ahead of us to overcome the potential weaknesses in the regulation of entities and activities in this sector. Let me mention two areas where important efforts are currently underway. First, at the global level, the Financial Stability Board (FSB) has just published its consultation paper on addressing structural vulnerabilities in the asset management sector. The paper lays out various recommendations that aim at strengthening the resilience of asset management and investment funds. Second, at the EU level, the work of the European Banking Authority (EBA) on the new prudential regime for investment firms is well under way. This new regime will cover a significant number of non-bank entities providing investment services. As recommended in the EBA report of December 2015, the regime is expected to have three tiers, aiming at introducing risk-sensitivity and proportionality. Systemic bank-like entities are expected to be subject to the full CRR/CRD IV requirements, and less significant entities subject to less onerous and more specific requirements. Another important aspect in dealing with the risk stemming from shadow banking activities relates to the introduction of macroprudential margins and haircuts in SFTs, including repos, as well as in OTC Derivatives transactions. These tools would reach beyond the banking system and also address the build-up of leverage and liquidity risks in parts of the financial system, where we have seen rapid growth in recent years. Macroprudential authorities should have the power to set margins and haircuts. Margins and haircuts are a determinant of the build-up of leverage via derivatives and SFTs, and are strongly interlinked with the procyclicality of that leverage. For derivatives, the initial margin determines the amount of exposure that can be created for a given amount of equity. In turn, the size of the haircut on SFT collateral, particularly in repos, determines the amount of funding market players can obtain for a given amount of collateral. In exuberant times, low volatility and risk-aversion as well as competitive pressure lead to low margins and haircuts, supporting the build-up of leverage. When the cycle turns, higher volatility and higher risk aversion feed into higher margins and haircuts, amplifying de-leveraging pressures. As a result, a vicious cycle can emerge, where higher margins and haircuts force de-leveraging and more sales, generating a liquidity spiral. That is what Gary Gorton called “the run on repo” in the core of the recent financial crisis . The practices of re-use and re-hypothecation of securities also deserves to be looked into and limited. These practices amplified the expansion of inside liquidity, creating the liquidity illusion that all individual institutions were well funded which was proven not true when “the run on repo” unfolded with significantly higher haircuts. Another important measure to mitigate excessive leverage in the shadow banking sector would be to introduce prudential leverage ratios. To monitor and impose a limit on both simple and synthetic leverage ratios, built by the use of derivatives, would be essential. Appropriately, the monitoring of the two concepts of leverage is included in the FSB proposed policy recommendations to address structural vulnerabilities from asset management activities. The discussion about the expansion of non-bank banking activities raises the issue whether a more fundamental reform of the monetary and financial system is necessary to reduce the probability of financial and banking crises. The essential fragility of banks, and now of the market-based credit system, is the enormous maturity transformation inherent to their activity, where the commitment to honour short-term liabilities – either in the form of deposits or short-term securities – has to be ensured at all moments. In the past, the privilege of creating money by taking-in deposits, resulting from the extension of credit, justified the more intense regulation of banking. However, as explained earlier, other entities or activities are also now engaged in creating forms of money, increasing the maturity transformation and leverage of the system while not being regulated as banks. Trying to contain leverage in the financial system by just putting more demands on banks will not address the system expanding outside the boundary. Proposals to address the problem have emerged since the crisis and try to put an end to “the alchemy of banking”, thus eliminating panics and runs either on deposits or on repos and similar short-term liquidity “promises”. Building on ideas dating back to the 1930s, the proposal of Narrow Banking, sustains that banks would collect deposits remunerated at very low interest and would only invest in very safe and short-term assets, such as government treasury bills. Extending credit to firms would not be permitted, for not being sufficiently safe. Financing of investment would have to come from capital markets or firms’ self-financing. There is a variety of versions of this proposal, the famous one being the so-called Chicago Plan, proposed in 1930 by Chicago professor, Irving Fisher and also temporarily supported by Milton Friedman, whereby a 100% liquid reserve requirement would be applied to all deposits. The principles of Narrow Bankingwere subsequently adopted by the Positive Money movement, an international social movement active in 12 countries. Besides generating a financial system that would not create enough funding for investment and growth, the approach brought to the present times has the major flaw of not addressing the “boundary problem” as it addresses only the role of banks. Another proposal – Limited Purpose Banking – put forward by Laurence Kotlikoff in 2010 would transform all financial institutions into entities fully funded with equity, like mutual or investment funds. Entities could extend credit but a public institution should be in charge of validating the respective ratings of those credits. Also in this case, the approach would lead to insufficient finance for economic development. An interesting and challenging vision is described in the book The end of bankingwritten by a macroeconomist and an investment banker under a pseudonym. The proposal is not only the end of banks but also the end of banking activity, defined as the “creation of money out of credit”. It rests on two main elements: new digital technologies and new accounting rules that would impede the “creation of money out of credit” by any type of firm. In this case, the boundary problem is explicitly recognised and addressed. The first element – digitalisation – will allow the unbundling of banks’ functions by different types of firms using digital techniques. The pooling that banks do by collecting small deposits can be done over the internet; diversification of credits using hard big data to select, scoring, rating and monitoring borrowers and loans’ credit risk, are also made possible by digital algorithms; maturity transformation and supply of liquidity services can be achieved by offering market liquidity: custody accounts (not deposits) would offer immediate liquidity by rapidly selling assets in the market. While not being cash-deposit liquidity, the speed and optimisation software functions would get very close to it. Unbundling of these functions is already taking place with FinTech and it will be completed easily, according to the authors. However, the new FinTech institutions could still try to do banking by matching liquidity “promises” with securitised or unsecuritised credit. The second element of the proposal impedes this by introducing a new legal and accounting concept of insolvency, that the authors call a systemic solvency rule. A firm would be insolvent if its real assets would become less than its total liabilities. Financial assets would thus not be counted as real assets. 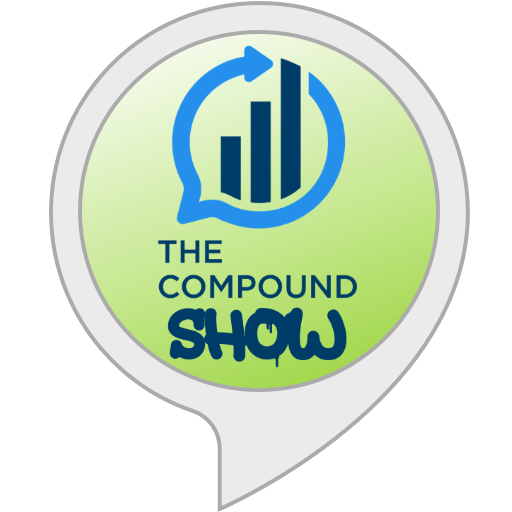 A different way to enunciate the rule is that a firm would be insolvent whenever its financial assets exceed its common equity. In this way, financial assets created by credit will have to be funded by equity and so the alchemy of creating money out of credit could not hold. The proposal is not much different from Limited Purpose Banking whereby financial firms are a sort of mutual or investment fund. While financial technology would dispense with any government intervention, the proposal is not more viable than theLimited Purpose Banking, in my view. In his recent book, Mervyn King proposes another approach to the problem of creation of money or quasi-money through the granting of credit either in the form of loans or the purchase of securities. In a nutshell, the proposal is as follows: all financial firms’ assets when funded by short-term liabilities would have mandatorily to be reported to the central bank and a haircut would be negotiated to be applied for the provision of central bank liquidity should a situation of liquidity stress emerge. The haircuts would be negotiated well in advance of any stressful situation and the agreed liquidity provision would be extended without any other conditions. The potential huge extension of central bank liquidity with monetary policy consequences and the possibility of significant losses to the central bank in a crisis, with rapidly declining asset valuations, renders the proposal controversial and fraught with difficult practical implementation problems. It should also be stressed that the proposal, although aware of the boundary problem, does not eliminate the possibility of creation of money and quasi-money out of credit. What it does is to eliminate the liquidity crises that are normally the triggers of financial crises. If and when inside liquidity would fail, outside (central bank) liquidity would be readily available at a price. A different approach to the central problem of the vulnerabilities created by the emergence of a lightly regulated sector creating short-term liabilities is suggested by Morgan Ricks in his recent book. It consists of establishing the legal obligation that all forms of short-term liabilities created by financial institutions would have to be insured against a fee by an official institution, similarly to what happens to deposits. This is certainly feasible but although reassuring users of financial services, the scheme is not so encompassing as the one proposed by Mervyn King and would not avoid liquidity strains in a crisis or the creation of money out of credit. In conclusion, this analysis shows that it is difficult, if not impossible, for our economies – so dependent on credit to invest and grow – to dispense with banking as an activity. Despite being under siege with great needs of consolidation in the sector, banks are not going to disappear in the near term. Let me turn to some of the more specific challenges that euro area banks are facing in the post-crisis environment. First, I will focus on the low profitability environment banks operate in and then address the structural challenges related to overcapacity in some banking markets and the large stock of NPLs. Finally, I will discuss the prospects for bank consolidation and some aspects of the resolution regime. 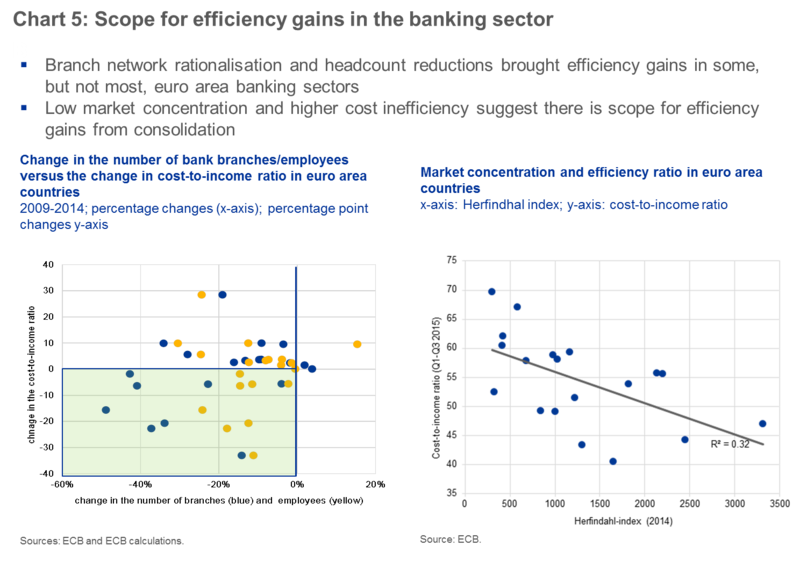 A key challenge for European banks is linked to the prolonged period of low profitability in the sector. 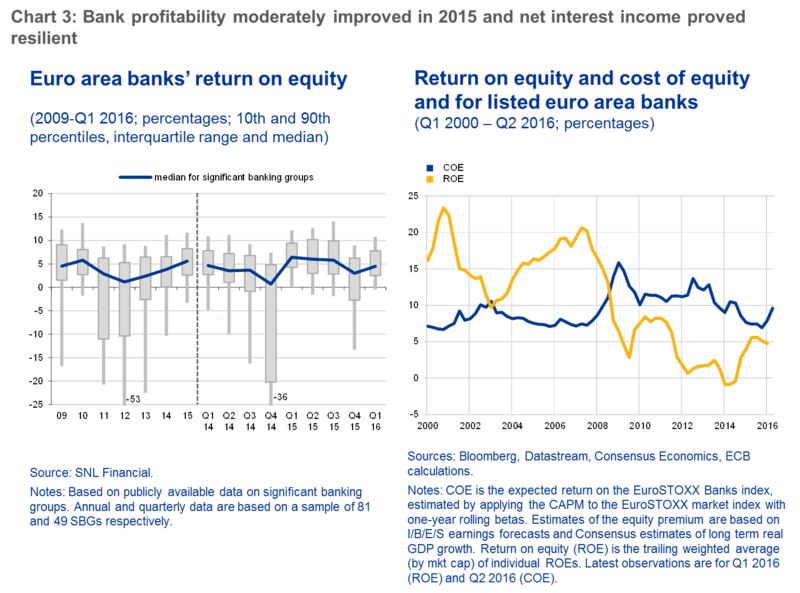 While bank profitability has recovered somewhat recently, it remains at very low levels. Euro area significant banks’ average Return on Equity (ROE) was 5.8% in 2015, remaining below their cost of capital (estimated to be around 9%). In fact, the negative gap between banks’ ROE and cost of equity has persisted since the 2008 financial crisis despite some narrowing in this gap recently (see Chart 3). Furthermore, analysts remain unconvinced of the prospect of a significant recovery in bank profitability in the near future. This is also reflected in continued low market valuations of euro area banks. 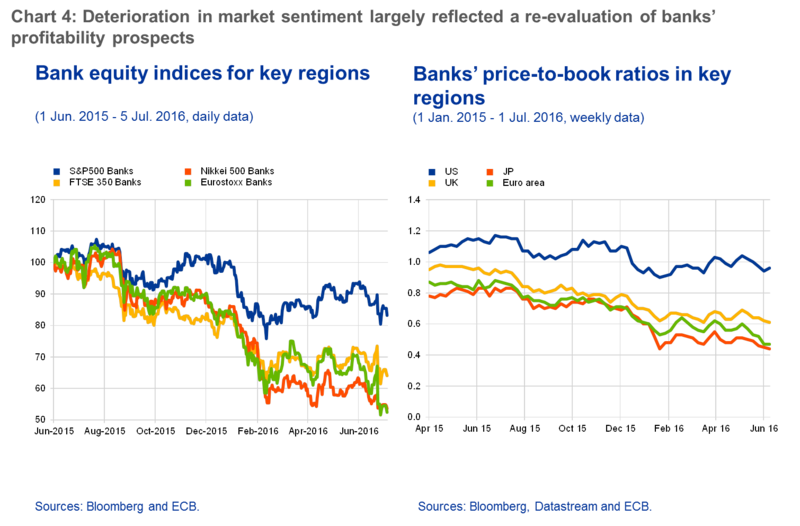 While market scepticism regarding banks’ earnings outlook pushed down price-to-book ratios around the globe (see Chart 4) during the episode of heightened financial market volatility at the start of 2016, a continuing wedge between euro area and U.S. banks may partly reflect the greater challenges euro area banks are facing in restoring profitability and adjusting to a post-crisis intermediation model. The continued weakness in bank profitability reflects a number of factors, including both cyclical and structural challenges. A key cyclical challenge is linked to the difficulties in increasing revenues in a low nominal growth and low interest rate environment and a flat yield curve. The impact of the low interest environment on margins will vary across banks due to differences in banks’ ability to reprice deposits or in the interest rate sensitivity of their assets (including, for instance, the relative share of floating vs fixed rate loans). That said, compressed margins are only one side of the coin as the positive impacts of our monetary policy accommodation helps offset the pressure on margins – through increased credit volumes, lower impairment costs, higher capital gains on securities holdings as well as through funding cost benefits from the TLTRO II. Turning to structural factors, in line with ECB analysis, the IMF recently highlighted some key structural challenges for the banking sector that include the large stock of non-performing assets, excess capacity in the banking sector and the incomplete adjustment of business models. Let me address each of these factors in turn. First, a large stock of legacy non-performing assets in certain banking sectors continues to dampen profitability prospects of banks with high NPLs that consume capital and do not generate revenue while it also ties up operational capacity and involves legal, as well as administrative costs. The problem of NPLs is more related to its impact on profitability that on the robustness of balance sheets, as the coverage by provisions and collateral is 95% on average. Third, the adaptation of business models to the new operating environment is incomplete. Accordingly, banks’ return to sustainable profitability and thus banking sector stability will depend on their ability to adapt their business mix to the new operating environment. The financial crisis and new regulatory requirements have had a profound impact on banks’ activities and business models. Pre-crisis profitability levels of many banks were boosted by high leverage and/or reliance on relatively cheap wholesale funding as well as, in some cases, elevated risk-taking (in real estate lending or securitisation exposures) in order to generate revenues. Changes in banks’ behaviour and in the regulatory framework have rendered some of the (previously) most profitable business strategies less viable which, coinciding with weak macroeconomic and financial market conditions, has led to deteriorating financial performances since the crisis. Banks’ return to sustainable profitability and thus banking sector stability will depend on their ability to adapt their business mix to the new operating environment. 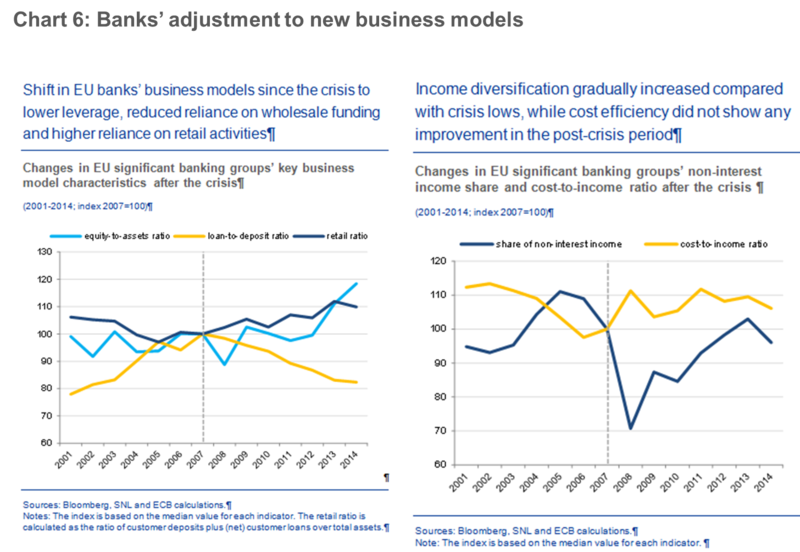 Chart 6  shows that banks have been moving in the direction of increasing retail banking, have improved significantly their leverage ratio (equity over assets) and reduced their reliance in wholesale funding, decreasing their transformation ratio (see chart on the left above). At the same time, fees and commissions have been increasing although they are still below levels in other jurisdictions (see chart on the right above). What is also striking is that the cost/income ratio has stayed stable, indicating that the banks have not been sufficiently effective in reducing costs. As I highlighted earlier, cyclical profitability challenges in some countries are amplified by the large stock of non-performing assets. Euro area significant institutions held nearly EUR 950 billion of nonperforming loans (NPLs) at the end of 2015, equivalent to about 9% of euro area GDP, and their average NPL ratio, at 7.1%, is high by international standards and clearly exceeds those of US and UK peers.NPL ratios vary widely across the euro area, but remain at rather elevated levels in the majority of countries that were most affected by the financial crisis. At the same time, progress in reducing NPL remains slow, which can be explained by a number of impediments to the decisive resolution of NPLs. These include institution-specific factors, such as limited operational capacity or the lack of adequate management experience. In addition, there are a number of structural factors impeding the swift resolution of NPLs, including flawed personal and corporate insolvency laws, inefficient judicial systems, the lack of effective out-of-court workout frameworks, an underdeveloped NPL servicing industry and NPL market as well as tax impediments. As I mentioned before, the presence of high NPLs has a significant impact on banks’ profitability, as a sizeable part of the assets are not generating revenue. This however does not raise issues about bank solvency. There is a misleading perception that the Asset Quality Review (AQR) and stress tests done in 2014 should have cleaned up the NPLs from the banks’ balance sheets. AQR and stress test exercises are not about taking NPLs out of banks’ balance sheets but about ensuring that with a proper valuation there are enough provisions and capital to ensure the point-in-time solvency of the institution. These exercises are solvency or capital exercises done over a relatively short horizon and not about longer term projections of banks’ profitability. An AQR assesses the appropriateness of valuations of NPLs using a sampling approach, and usually marks them down in line with their fair value. This creates a gap in the balance sheet that has to be filled by provisions or capital. It is a point-in-time exercise and it was thoroughly conducted in 2014, implemented by almost 500 external auditors and experts in SSM countries. The balance sheet valuation of the banks was then corrected and static solvency fully assured at that moment. As mentioned before, the exercise was not about reducing NPLs to zero in one go all and related collateral or about cleaning up the whole balance sheet. EBA stress tests use a static balance sheet methodology that assumes that the initial balance sheet quantities, including NPLs, remain unchanged throughout the three year horizon of the test. They deal with NPLs by changing in the adverse scenario the Loss Given Default (LGD), translating predefined macroeconomic adverse scenarios into LGD projections, thereby generating losses and reducing capital. In the 2014 exercise, these losses had to be covered by an increase in capital if the capital ratio came below the established minimum threshold (which was 5.5 % CET1 under the adverse scenario). Stress tests are capital, or solvency exercises, conducted annually to check if the banks, after incurring the losses associated with materialisation of an adverse scenario, remain solvent with a capital ratio above the minimum requirements. 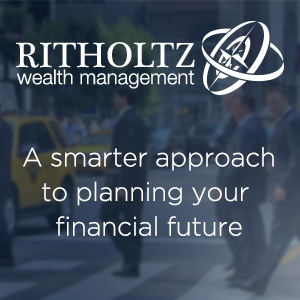 These exercises, by definition, do not investigate profitability developments over five or six years and ways to enhance profitability by getting rid of poorly remunerated assets (such as NPLs). The projections of net profits in the stress test are not only over a relatively short horizon but also assume a static approach. In reality, banks would react to the adverse conditions by changing assets and liabilities. However, if anything, the static approach is more demanding for banks because it ignores the relative improvements they could engineer under stress by adjusting their balance sheets. In particular, stress test exercises cannot capture the enhanced ongoing efforts in banks with high NPL ratios. Resolution of NPLs does not involve only collateral liquidation but also debt restructuring for viable distressed debtors. Restructuring positively contributes to the future profitability of banks with high level of NPLs. NPL resolution is anyhow a lengthy and complex process, and its full positive effects will materialise only beyond the horizon of the stress test. In conclusion, stress tests analyse only the solvency of banks, do it annually but do not test the profitability of banks going forward into horizons beyond a couple of years. If profitability continues to be low in the future and the bank does not retain profits to build-up capital, then the stress test simulates again losses in an adverse scenario and if there is a capital shortfall below the defined threshold, capital will have to be increased. A capital exercise is not a medium-term business plan for banks and does not deal with scenarios of reducing NPLs. Beyond AQR and stress test results, the management and the supervisors of banks then have to discuss forward-looking business plans as well as the necessary measures to maintain the banks sound and profitable which in the present conditions requires a reduction of NPLs. The resolution of the large post-crisis NPL overhang in Europe requires a comprehensive strategy involving coordination among all relevant stakeholders. Clearly, there is a large role to play for micro-prudential supervision in addressing NPL issues. Accordingly, the SSM has established a separate task force to focus on the NPL issue and to design the best response and long-term strategy for banks to reduce their NPLs levels. In addition, structural polices need to complement the supervisory response and address major institutional and structural impediments to NPL resolution. These should include measures to improve the legal environment relevant for NPL workouts, for instance by introducing efficient personal and corporate insolvency frameworks as well as speeding up debt recovery. Other areas for improvement include distressed debt markets as well as impediments related to taxation. In parallel, banks should further strengthen internal workout capabilities and, if needed, use external expertise of distressed asset managers, while authorities should support the development of an NPL servicing industry and of an efficient NPL market, as well as the carve-out of specific NPL portfolios and their transfer to special-purpose vehicles (SPVs) or their outright sale on the market. Regarding the latter, asset management companies (AMCs), often benefitting from state support, were used in the crisis by several euro area countries to separate troubled assets from going concern banks. However, the attractiveness of asset separation schemes has fallen significantly since the implementation of revised State Aid rules in 2013, as a result of very strict interpretations, with financial stability considerations playing a minor role, even if mentioned in the regulation. The present situation, after a new round of reduced stock prices following Brexit, deserves a deep reflection about the offsetting of some market failures with a small public support to markedly improve the stability of some banking sectors. Without this approach, the only solution available will be for supervisors to impose time limits for writing-off NPLs which realistically will then take several years to reach reasonable levels. In any case, improving conditions of the work-out of bad assets in the balance sheet of banks, changing legislation to speed up collateral execution, facilitating the expansion of a secondary market for bad assets, are anyhow essential to overcome the whole problem as efficiently and fast as possible. One of the structural impediments to the recovery of bank profitability is related to the overcapacity in some parts of the euro area. 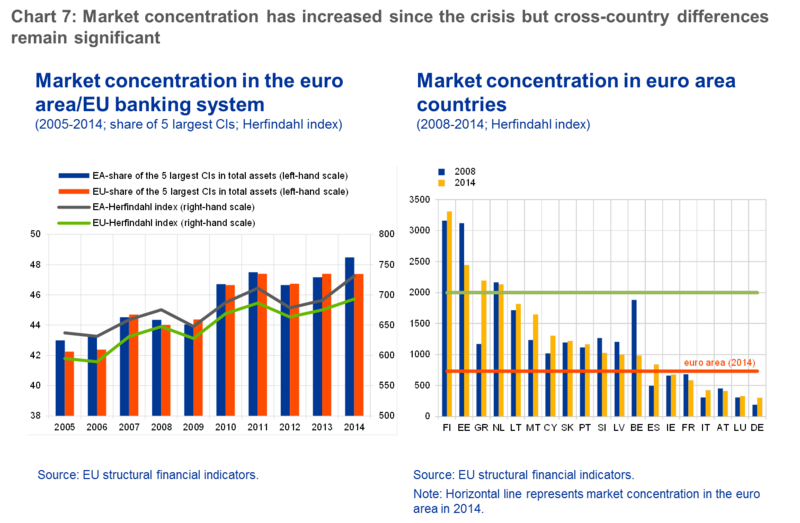 Market concentration has been on an upward trend both at the euro area and EU level since the pre-crisis period. Taking a cross-country view, significant differences remain across countries. Banking systems in larger countries, such as Germany and Italy are more fragmented, and concentration levels tend to be lower (see Chart 7). By contrast, banking systems in smaller countries tend to be less fragmented and more concentrated. These stark differences in market concentration are partly a reflection of structural features of the banking sector, due to the important role of savings or cooperative banks. With regard to capacity indicators, the resizing of the banking sector since the financial crisis was also accompanied by a decline in the number of bank branches and employees per population in the past few years. While this generally brought about some improvement in banks’ cost-to-income ratios, some banking systems continue to show indications of excess capacity (for instance, countries characterised by high bank branch per capita ratios). With all these factors taken together, it can be argued that there is scope for further consolidation without reinforcing the so-called “too-big-to-fail” problem and for reaping the benefits of efficiency-driven consolidation. The same is true about the euro area as a whole. Overcapacity in parts of the banking sector, coupled with the ongoing structural trend towards market-based financing, imply that the European banking sector is bound to continue to shrink in the future. This raises the important question of how to achieve a reduction in excess capacity in the banking sector without triggering bank distress and negatively affecting economic activity. The possible ways of consolidation in the banking sector include Mergers and Acquisitions (M&A, domestically and across borders), the downsizing of business activities (especially by large and complex banks) as well as resolution and orderly exits. In principle, M&As accompanied by downsizing are the best option for consolidation in the sector with the banking union providing a favourable backdrop. Ultimately, the euro area economy needs banks that are large and efficient enough to operate and diversify risks on a cross-border basis within a European single market, but small enough to be resolved with the resources of the Single Resolution Fund. This would help reap the full benefits of the banking union and improve the trade-off between financial stability and economic efficiency. From banks’ perspective, operating efficiencies are likely to become the primary M&A motivation in a low profitability environment with cross-border credit risk diversification benefits being a possible additional driver. Despite the clear rationale for bank consolidation via M&As, the merger wave seen in the period 2005-07 is unlikely to be repeated in the foreseeable future (see Chart 8). 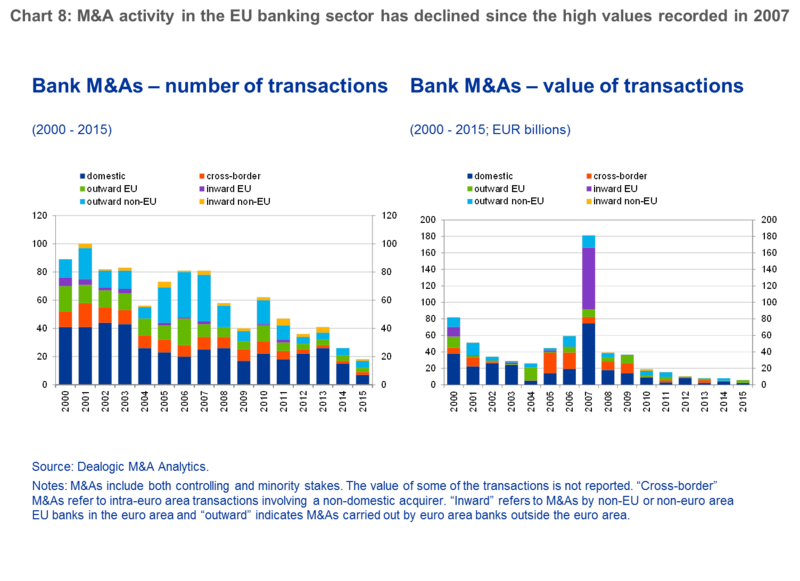 Looking at post-crisis trends, total M&A activity in the EU banking sector has declined since the high values recorded in 2007, especially in terms of the value of transactions, but also in terms of the number of transactions. Regarding the prospects of reducing excess capacity via resolution and orderly exits, the changed regulatory landscape – with enhanced early intervention, recovery and resolution tools in place – should in principle help to pursue a constructive path to consolidation. Indeed, it will be possible to preserve critical functions, by intervening early and restructuring a bank, or in the resolution stage, by selling critical parts of the failing bank to a private sector buyer or by setting up a bridge bank, for example. Orderly resolution will thus not entail the mere collapse of a bank, which could be value-destroying and endangering financial stability, but would allow consolidating the banking sector by preserving its value. Clearly, all resolution processes will have to be implemented in accordance with the Bank Recovery and Resolution Directive (BRRD), the more transformative piece of legislation in the context of the Banking Union. One of its fundamental features is that the use of resources from the Single Resolution Fund (with or without a fiscal backstop) or from any public programme, can only take place after a bail-in of shareholders and creditors amounting to at least 8% of total liabilities of a given bank, including own funds. The level of 8% is very substantial compared to the losses banks faced in the recent crisis. Between 2008 and 2010, only one bank incurred losses in excess of the 8% threshold, and the average for all banks was slightly less than 3%. If we look further back at the Nordic financial crisis in the 1990s, the banks affected endured losses well below 8% of their total liabilities including own funds. Thus, under the BRRD, the use of money from the Resolution Fund or, after that, from public programmes (either national or from direct European recapitalisation), should occur extremely rarely, if at all. What I have outlined today is that in the post-crisis environment, banks are facing a number of difficult challenges. How should banks respond to these challenges? Banks’ strategic responses to the changed business and operating environment imply the adaptation of business models. There is no “one-size-fits-all” strategy for business model adjustment and the optimal strategy will depend on the starting point of each individual bank and on its operating environment. Concentration in their core competences and divestment of ancillary activities will be necessary in many cases. Given the cyclical profitability challenges arising from the low interest rate environment, banks will have to continue increasing the share of fees and commissions’ income. International comparisons suggest that euro area banks have significant room to expand non-interest income. However, such a shift is likely to be gradual and is also dependent on competition from both within and outside the banking sector. Another clear avenue to address profitability pressures is to further increase cost efficiency. The ongoing trend of customers shifting towards digital platforms for banking services has important implications for banks’ business models and their cost containment strategies. Such strategies include, among other things, a rationalisation of the retail branch network and improving multichannel distribution capacities. This in turn also requires additional costly investment into IT infrastructures that could lead to significant cost savings in the long term, both in terms of expanding the customer base and enhanced product distribution. Banks with high levels of NPLs, with or without any European policy support, will have to steeply improve their workout capacity to deal with the problem. Banks should also take advantage of central bank policies, and in particular the new series of Targeted Long Term Refinancing Operations (TLTRO II). To recall, these new operations offer long-term funding at attractive conditions to banks to further ease private sector credit conditions and to further incentivise bank lending to the real economy. Looking at the implications of monetary policy accommodation in their entirety, it is important to stress that its positive effects – through increased credit volumes but also lower impairment costs, capital gains on debt securities as well as lower funding cost of the TLTRO II – have the potential to offset the pressure on margins. Let me conclude. Our monetary policy has been the only expansionary policy in the euro area. Putting together all its policy effects, it has undoubtedly helped banks, as the improvement in profitability since 2013 illustrates. We trust that we will achieve normalisation of inflation levels in the next few years, which will change the macroeconomic environment for the better, thereby supporting the banking sector. At the same time, we are well aware of collateral effects of our policy on the economy and know the limits of certain policy instruments. As I mentioned earlier today, banks are not going to disappear any time soon under a wave of Fintech start-ups. However, in the present situation we must count on the ingenuity, effort and competence of the banks to change into more efficient institutions with lower cost/income ratios and with the capacity to face fierce competition in a world of changing technology. Only a robust and profitable banking sector can serve the economy and finance the economic growth that we need. Adrian T. and H.S. Shin (2009), “The Shadow Banking System: Implications for Financial Regulation”, Banque de France Financial Stability Review 13:1–10. Autonomous Research, “MREL: Senior on the firing line”, 3 June 2016. Chamley, C., L. Kotlikoff and H. Polemarchakis (2012), “Limited Purpose Banking – moving from `trust me` to `show me` banking”, American Economic Review, 102 (3): 113-19. Claessens, S., Z. Pozsar, L. Ratnovski and M. Singh (2012), “Shadow Banking: Economics and Policy”, IMF Staff Discussion Notes 12/12. Claessens S. and L. Ratnovski (2014), “What Is Shadow Banking?”, IMF Working Paper 14/25. Constâncio, V. (2014), “Beyond traditional banking: a new credit system coming out of the shadows”, lecture at SAFE Goethe University. Constâncio, V. (2016), “The challenge of low real interest rates for monetary policy”, Macroeconomics Symposium at Utrecht School of Economics, 15 June 2016 http://www.ecb.europa.eu/press/key/date/2016/html/sp160615.en.html. Duffie, D. (2016), “Financial regulatory reform after the crisis: an assessment”, ECB Forum on Central Banking, Sintra, 29 June 2016. ECB Economic Bulletin, Issue 6/2015. ECB Financial Stability Review, Issue 5/2016, Special Feature C, “Recent trends in euro area banks’ business models and implications for financial stability”. ECB Financial Stability Review, Issue 5/2015, Special Feature “Bank profitability challenges in euro area banks: the role of cyclical and structural factors” by C. Kok, C. Móré and C. Pancaro. ECB Report on Financial Structures, October 2015. Goodhart, C. (2008), “The boundary problem in financial regulation “, National Institute Economic Review, October. Also reproduced in Goodhart, C. (2010) “The regulatory response to the financial crisis”, Edward Elgar, Chapter 12. Gorton G. B. and A. Metrick (2009), “Securitized Banking and the Run on Repo”, NBER Working Paper No. 15223, August 2009. King, M. (2016), “The end of alchemy: Money, banking and the future of the global economy”, Little, Brown. Kotlikoff, L. (2010), “Jimmy Stewart is dead: ending the world’s ongoing financial plague with Limited Purpose Banking”, Hoboken, NJ: Wiley. Kumhof, M. and J. Benes (2012), “The Chicago Plan revisited”, IMF working paper 12/202. McKinsey, “Cutting Through the FinTech Noise: Markers of Success, Imperatives for Banks”, December 2015. McKinsey, “The Fight for the Customer”, Global Banking Annual Review 2015,. McMillan, J. (2014), “The end of banking: money credit and the digital revolution”,Zero/One Economics, Zurich. Mehrling P., Z. Pozsar, J. Sweeny, and D.Neilson, (2013) ,“Bagehot was a Shadow Banker: Shadow Banking, Central Banking and the Future of Global Finance”, Institute of New Economic Thinking. Pozsar Z., T. Adrian, A.B. Ashcraft, H. Boesky (2010), “Shadow Banking”, Federal Reserve Bank of New York Staff Report 458. Pozsar, Z. (2011), “Institutional Cash Pools and the Triffin Dilemma of the U.S. Banking System”, IMF Working Paper No 11/190. Pozsar, Z. (2014) “Shadow Banking: The Money View”, Office of Financial Research Working Paper 14-04. Ricks, M. (2016), “The Money Problem: rethinking financial regulation”, University of Chicago Press. Shin, H.S. (2009), “Financial Intermediation and the Post-Crisis Financial System”, BIS Annual Conference. See Constâncio, V. (2014), “Banking Union: meaning and implications for the future of banking”, Banking Union Conference organised by the Master in Banking and Financial Regulation, Navarra University, Madrid 24 April 2014 http://www.ecb.europa.eu/press/key/date/2014/html/sp140424_1.en.html. 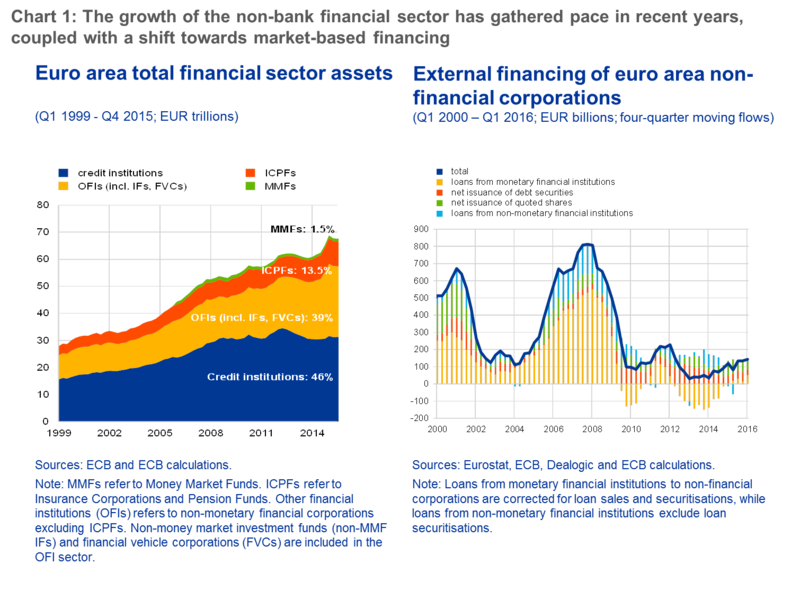 See the article titled “The fiscal impact of financial sector support during the crisis”, ECB Economic Bulletin, Issue 6/2015. See Constâncio, V. (2014), “Beyond traditional banking: a new credit system coming out of the shadows”, lecture at SAFE Goethe University. See among others, Shin H.S. (2009), “Financial Intermediation and the Post-Crisis Financial System”, BIS Annual Conference; Adrian T. and H.S. Shin (2009), “The Shadow Banking System: Implications for Financial Regulation”, Banque de France Financial Stability Review 13:1–10; Pozsar Z., T. Adrian, A.B. Ashcraft, H. Boesky (2010),“Shadow Banking”, Federal Reserve Bank of New York Staff Report 458; Claessens S, Z. Pozsar, L. Ratnovski and M. Singh (2012), “Shadow Banking: Economics and Policy”, IMF Staff Discussion Notes 12/12; Mehrling P., Z. Pozsar, J. Sweeny, and D. Neilson (2013), “Bagehot was a Shadow Banker: Shadow Banking, Central Banking and the Future of Global Finance”, Institute of New Economic Thinking; Pozsar, Z. (2014),“Shadow Banking: The Money view”, Office of Financial Research Working Paper 14-04; Claessens S. and L. Ratnovski (2014), “What Is Shadow Banking?”, IMF Working Paper 14/25. See Ricks, M. (2016), “The Money Problem: rethinking financial regulation” University of Chicago Press, where the author writes: “When we talked about shadow banking, we were referring to the financial sector’s use of vast amounts of short-term debt to fund portfolios of financial assets. The short-term funding markets are enormous, but they are fairly obscure. They exist largely in the background, as part of what might be called the “operating system” of modern finance. These markets have weird names—like repo, Eurodollars, and asset-backed commercial paper—but this confusing terminology belies their simplicity. These markets are not exotic at all. They are as simple as can be: they are just short-term debt.” (Preface, page ix). Pozsar, Z. (2011), “Institutional Cash Pools and the Triffin Dilemma of the U.S. Banking System”, IMF Working Paper 11/190. See Duffie, D. (2016), “Financial regulatory reform after the crisis: an assessment”ECB Forum on Central Banking, Sintra, 29 June 2016. See Goodhart, C. (2008), “The boundary problem in financial regulation”, National Institute Economic Review, October. Also reproduced in Goodhart, C. (2010) “The regulatory response to the financial crisis”, Edward Elgar, Chapter 12. See McKinsey, “Cutting Through the FinTech Noise: Markers of Success, Imperatives for Banks”, December 2015. See McKinsey, “The Fight for the Customer”, Global Banking Annual Review 2015. See Autonomous Research, “MREL: Senior on the firing line” 3 June 2016. For details, see lecture by V. Constâncio “The challenge of low real interest rates for monetary policy”, delivered at the Macroeconomics Symposium at Utrecht School of Economics, 15 June 2016. For further explanations see Constâncio, V. (2016), “Margins and haircuts as a macroprudential tool”, Speech at the ESRB international conference on the macroprudential use of margins and haircuts, Frankfurt am Main, 6 June 2016 in http://www.ecb.europa.eu/press/key/date/2016/html/sp160606.en.html. See Gorton G. B. and A. Metrick (2009), “Securitized Banking and the Run on Repo”, NBER Working Paper No. 15223, August 2009. See Kumhof, M. and J. Benes (2012), “The Chicago Plan revisited” IMF working paper No 12/202. Kotlikoff, L. (2010), “Jimmy Stewart is dead: ending the world’s ongoing financial plague with Limited Purpose Banking”, Hoboken, NJ: Wiley: see also Chamley, C., Kotlikoff, L. and H. Polemarchakis (2012), “Limited Purpose Banking – moving from `trust me` to `show me` banking”, American Economic Review, 102 (3): 113-19. Ricks, M. (2016) “The Money Problem: rethinking financial regulation”, University of Chicago Press. See, for example, the special feature by Kok, C., Móré, C. and Pancaro, C., “Bank profitability challenges in euro area banks: the role of cyclical and structural factors”, Financial Stability Review, ECB, May 2015. See Special Feature C: “Recent trends in euro area banks’ business models and implications for financial stability”, Financial Stability Review, ECB, May 2016. The average non-current loan ratio (a proxy for the NPL ratio) of US banks stood at 1.5% at the end of 2015, while the average NPL ratio of UK banks participating in the EBA transparency exercise was 3.2% (based on data for the first half of 2015). See the ECB report on financial structures, October 2015.